Young, adventurous and carefree, I'm constantly on the look out for fun and different things to do in London and surrounds. For more of what I've been up to, have a look at my blog: lollijack@wordpress.com. 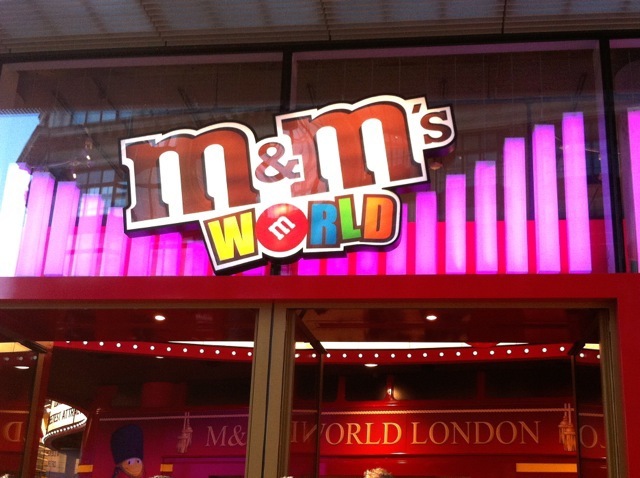 While visiting Leicester Square, you must pay a visit to M&M's World. 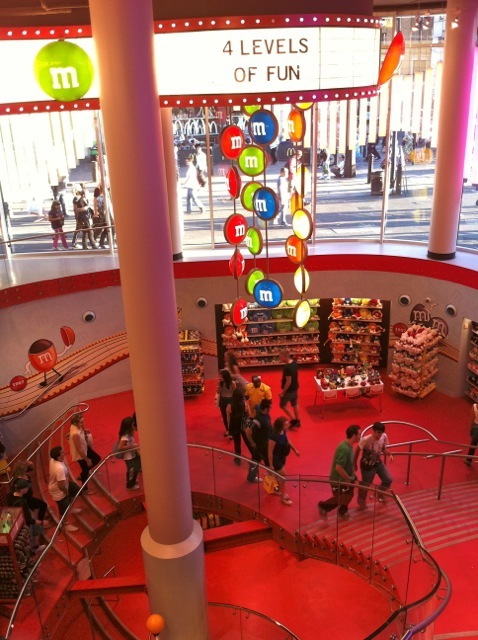 M&M's World is a 4-story Mecca of candy heaven! Kids love this place, probably because it's so bright and colourful. 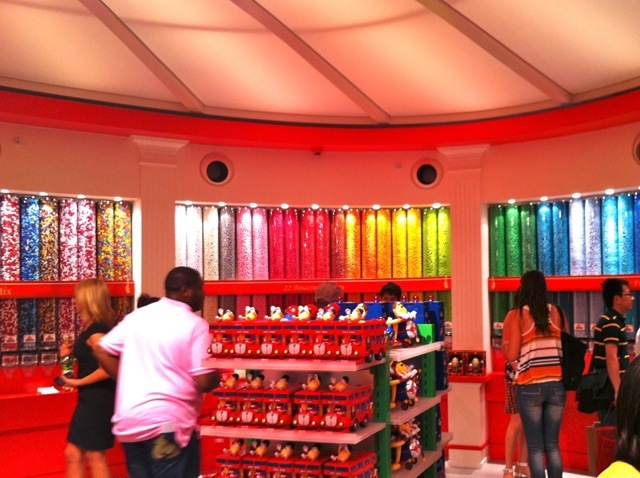 When you walk inside you'll be overwhelmed by the walls and walls of M&M's in all the colours of the rainbow, tempting you to indulge your taste buds. 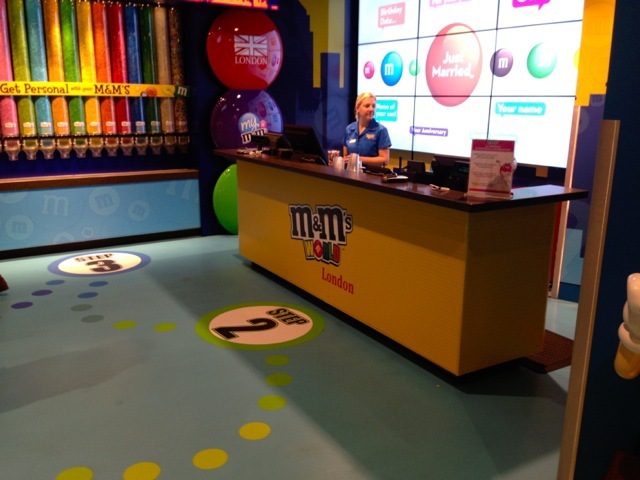 I never knew that M&M's came in so many colours until I went to M&M's World! Even if you're not a chocolate fan and are not looking to buy anything, it's fun just browsing through the wide selection of exciting products. To many colours to choose from! 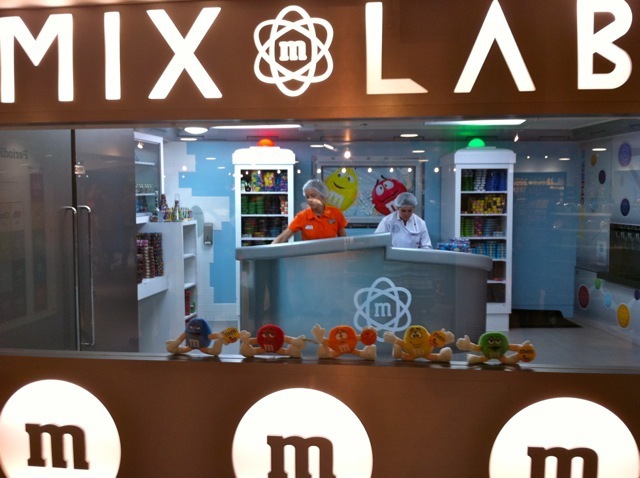 Toys, key rings, cushions, clothing, sporting apparel, magnets and pyjamas are just some of the wide variety of M&M merchandise that fills the store. This giant store sells everything that an M&M fan could ever want! 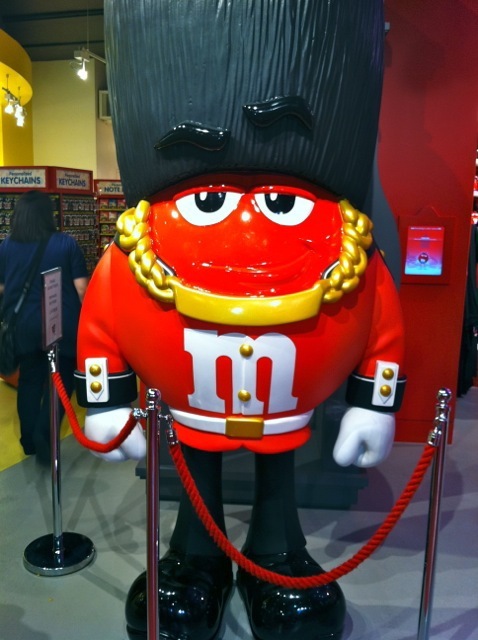 London items are also incorporated with the M&M theme making them the perfect souvenirs for tourists to take home. Your favourite characters, Brown, Blue, Red, Green, Yellow and Orange can often be found wondering around the store, ready to sign autographs and make you giggle with their mischievous and engaging ways. They are also more than happy to pose for a photo or two. 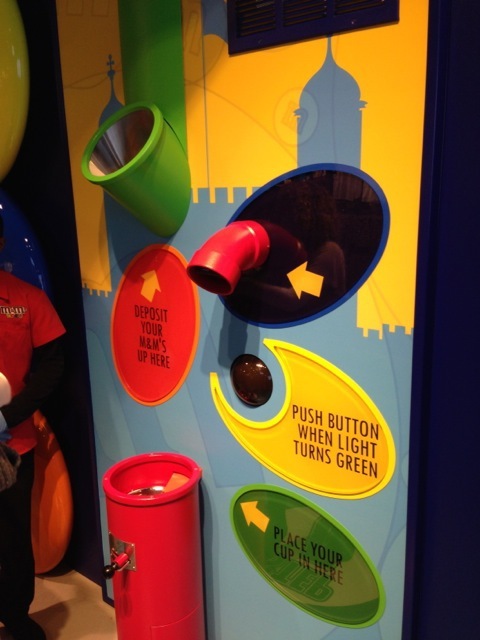 M&M's World will bring out the child in you. Yes, it is overpriced and touristy, but I would recommend going to have a look all the same, just for the experience. Kids and adults will be delighted with the impressive displays on show throughout the store. It's amazing to see what can be done based on a single product here. 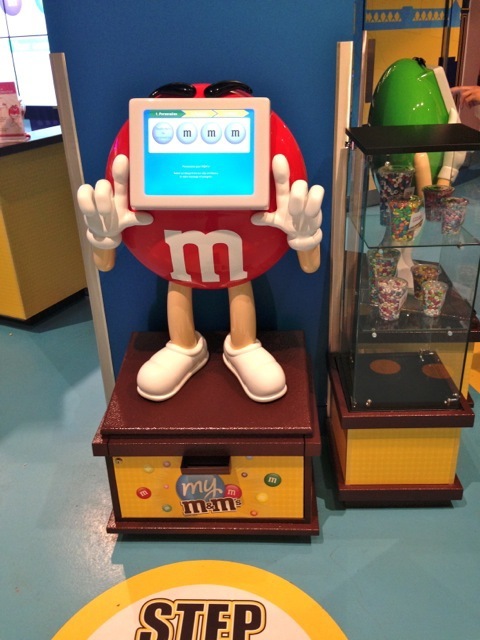 The newest attraction at M&M's World is the "personalise your M&M's" station which allows you to put your own personal message on your M&M's. This is done in 4 simple steps. 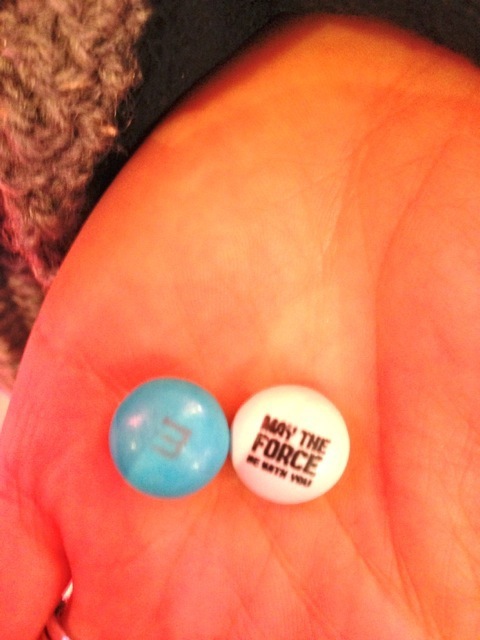 Step one: Enter your personal message in the M&M's computer. You can enter four personal messages per order. Once you have done this, your M&M's order summary will be printed for you. Step two: Take your order summary to the counter and once you have paid for your order, you will be given your M&M's container. 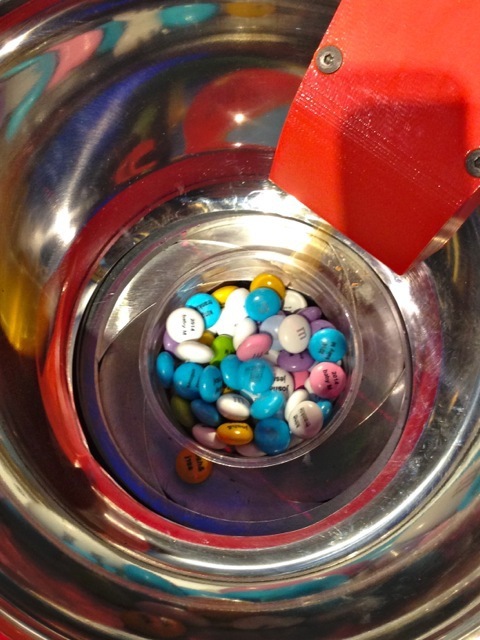 Step three: Here you can select M&M's in the colours of your choice to fill your container. Step four: This fancy machine is a technology masterpiece. 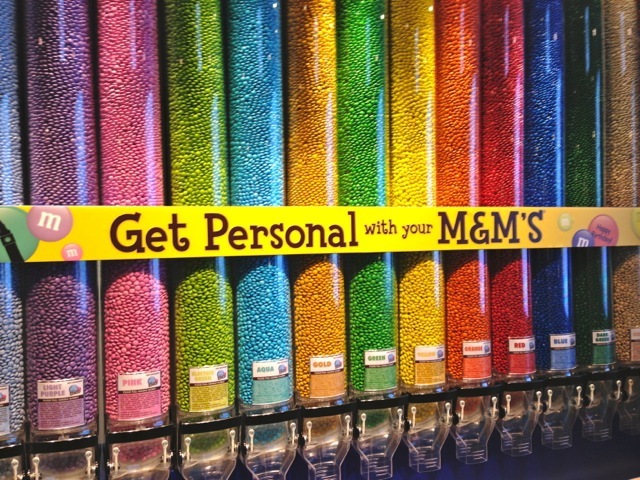 Just pour your M&M's into the machine, swipe your order summary and wait as your personal messages are inscribed on your M&M's. Incredible!